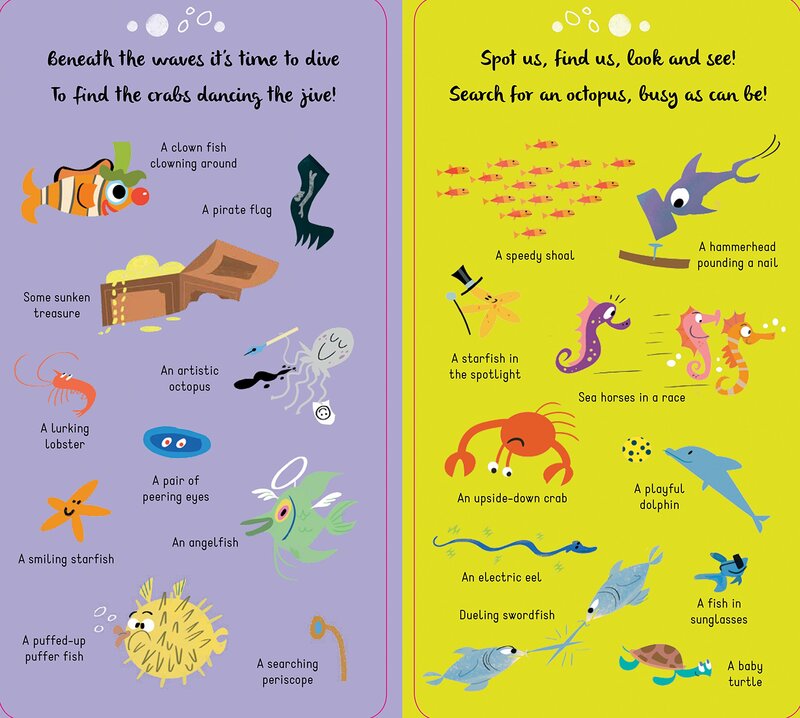 Search for the silly animals and find even more hidden surprises in the foldout scenes! 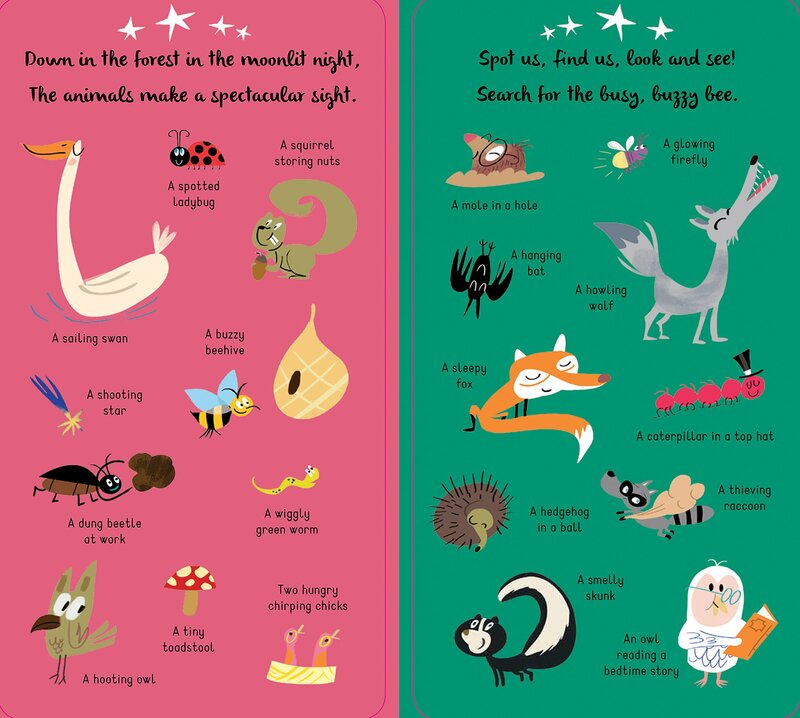 Can you find a pair of birds playing badminton, a gibbon with a ribbon, and a starfish shining in the spotlight? 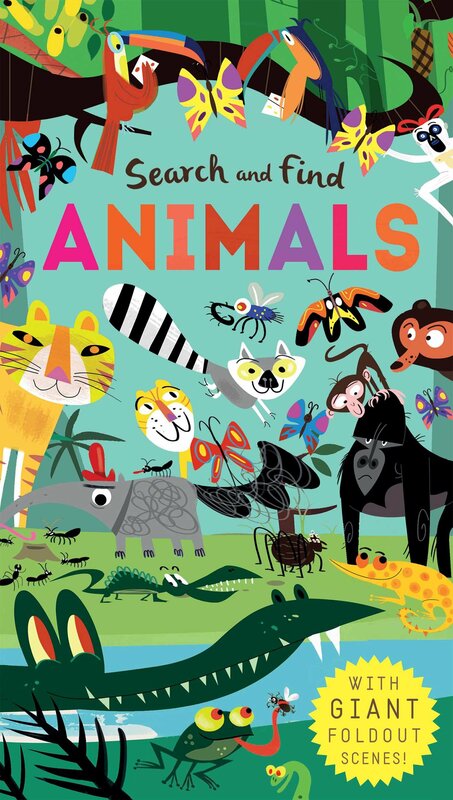 In Search and Find: Animals, young children are prompted to search six busy foldout scenes to find the illustrations highlighted on the large flaps. 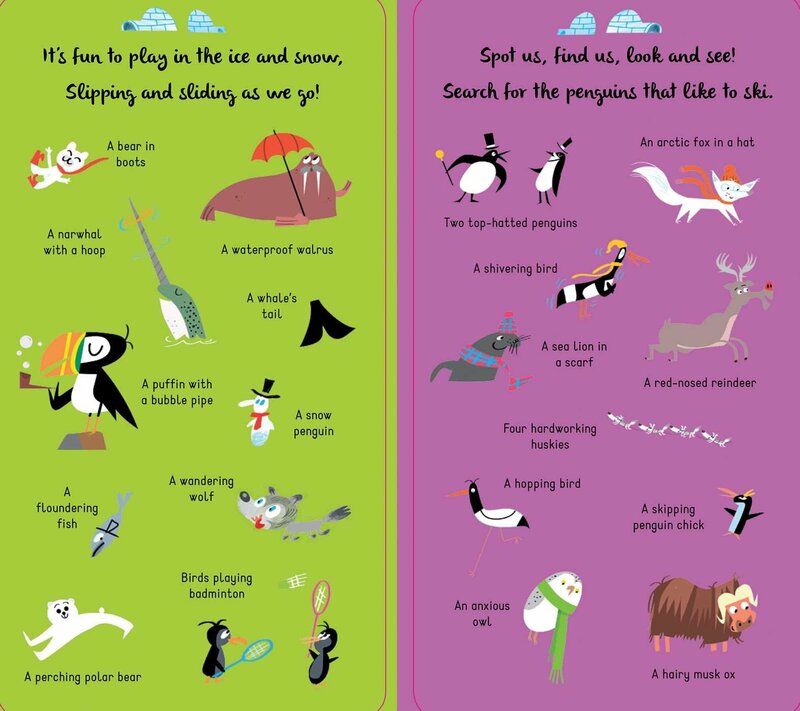 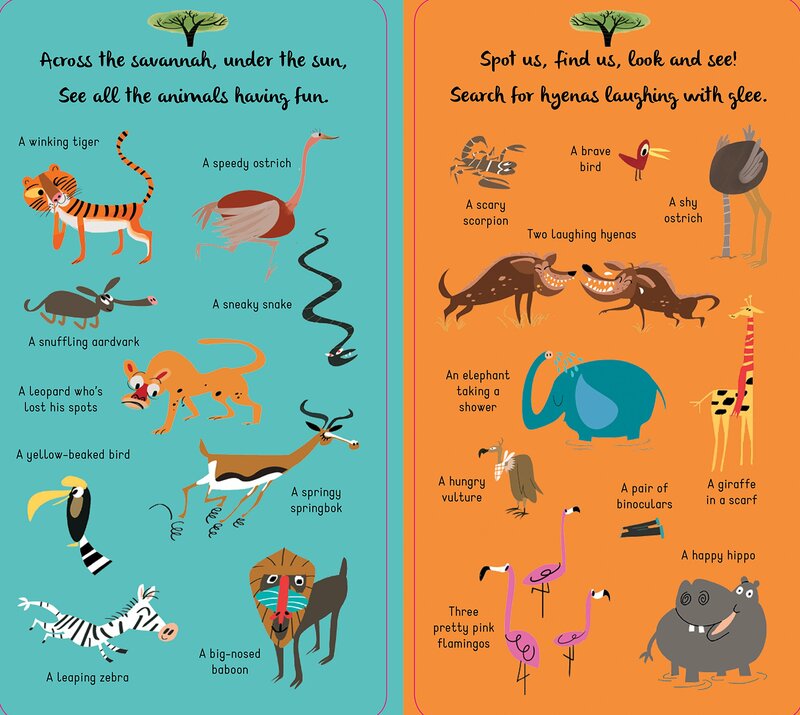 Each colorful spread features 20 things to find, plus additional amusing animals on a farm, in the Arctic, under a jungle canopy, beneath the waves, across the savannah, and in the nighttime woods. 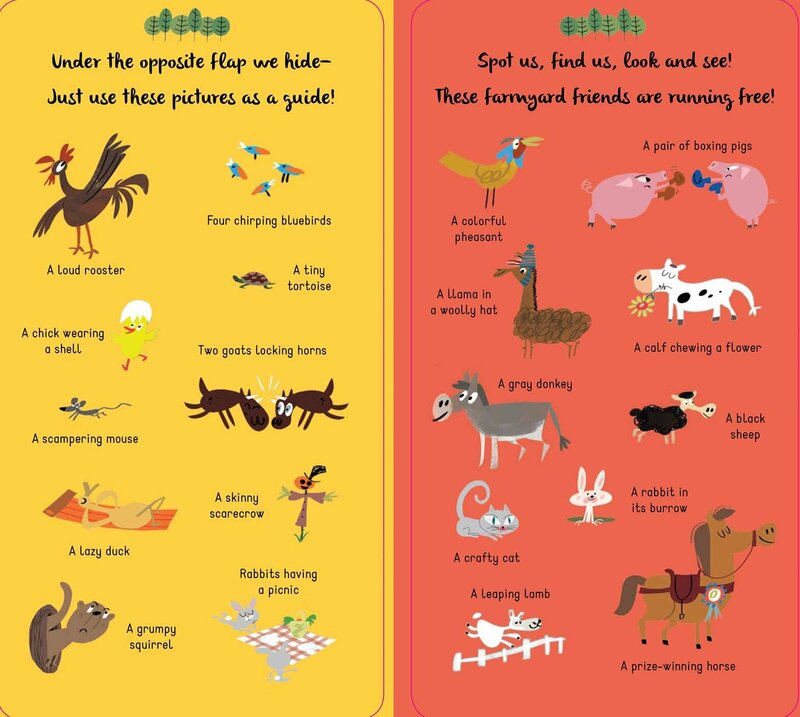 As readers explore the pages and find the animals, they will encounter other creatures scampering about—so parents can help children identify and learn the names of even more animals.